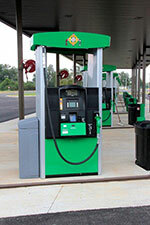 We're Alabama's #1 Independent Truck Stop, 2 years running! 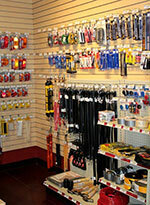 Nationally Ranked #1 Independent Truck Stop! 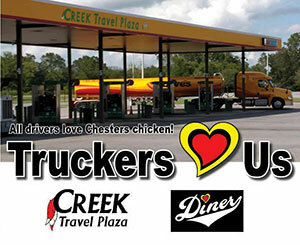 Ranked Second Best Truck Stop in the Country! Click Here For Full Listing! 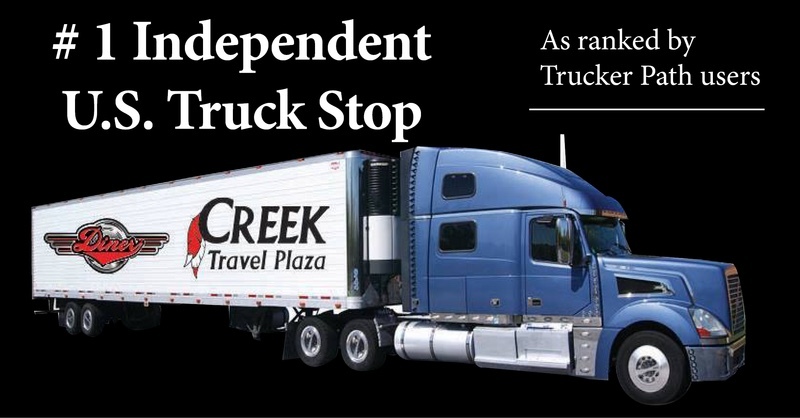 Welcome to Creek Travel Plaza, named the Top Independent U.S. Truck Stops by Trucker Path in 2017 and the Top Alabama Truck Stop in 2016 & 2017. We understand how difficult life can be on the road. That is why we cater to the trucking community with an array of driver amenities that are designed to make your drive smoother. And, if you have questions or need information, our customer service agents are always ready to assist professional drivers during their stop. Need a place to relax after a long day on the road? 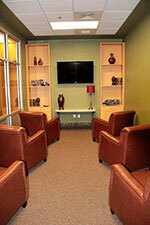 Our large driver’s lounge features comfortable leather seating and a large flat screen television. Need to freshen up? Come in and use our travel bathroom. 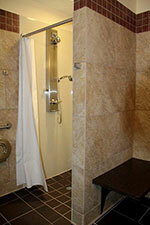 Our spacious showers are clean and convenient. 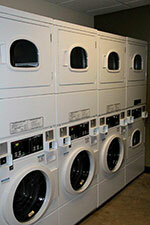 We even offer coin laundry facilities. Our equipment is efficient, allowing you to complete your laundry quickly and get back on the road. Hungry? 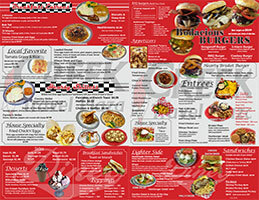 Our diner offers delicious southern dishes and specialties. We offer a large selection of juicy hamburgers. If you don’t have time to sit down for a meal but want something quick and delicious on the go, we have what you need. Our convenience foods are fresh and fast. Most are prepared in small batches so to maintain freshness. Need to pick up a gift? Our store is stocked with great gift items many of which have a native feel. We have custom made Native American jewelry, Native American dolls, purses, hats and other unique gift items to choose from. We strive to offer top-notch service and facilities for our tour bus guests, as well. 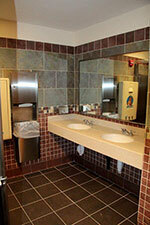 Our tour bus friendly facilities include multi-stall bathrooms and dedicated bus lanes. Convenient curbside loading and unloading make it easy to unload passengers. Are you on a layover and looking for something to pass the time? Nearby is Wind Creek Casino and Entertainment Center for casino gaming which includes a dance club, multiple restaurants, movie theater, bowling alley, arcade and a full spa. We offer free shuttle service to Wind Creek Casino and Entertainment Center. Just pick up the red phone in our drivers area to schedule pick up by the shuttle service. Next door to our location is a Dollar General for all your shopping needs. When you visit Creek Travel Plaza, you can expect friendly personalized service. We are not your typical travel plaza. We are owned by the Poarch Band of Creek Indians and pride ourselves on offering excellent service, clean bathroom facilities, and high-quality food. We are conveniently located at Exit 54 off of I-65. Whether you are looking for a diner in Alabama serving up delicious food or a clean, modern bathroom in Atmore, you will not be disappointed that you stopped by.